Glacier White PS4 Slim Coming Out Later This Month | Nerd Much? A new Glacier White PS4 has just been announced for the slim variation of the console. This first color variant of the newer model is set to release later this month. 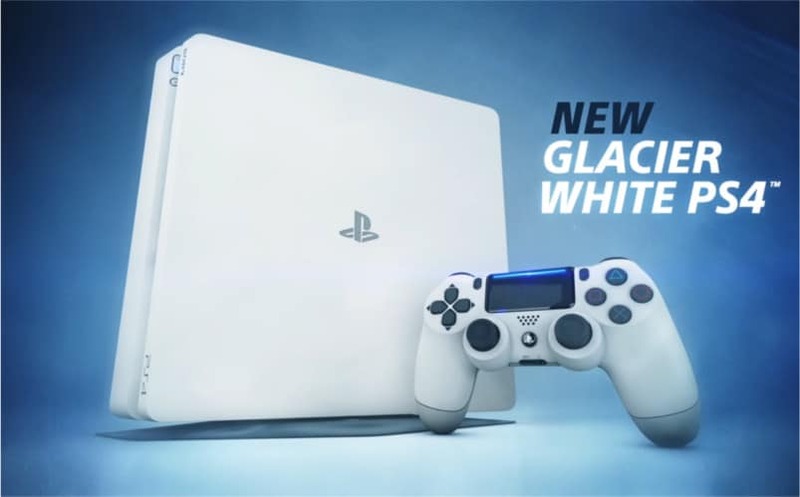 So far, the Glacier White PS4 has only been announced for Europe and Japan. In Europe, only the 500GB model will be available, while Sony will be selling both a 500GB and a 1TB model in Japan. There has been no mention of a North American or Australian release at this time. As expected, the console also includes a white version of the updated PS4 controller. For anyone who is upset about the console not coming stateside, don’t worry. We expect the console to be released here around the same time. After all, we already received the older version of the Glacier White PS4. Everything about the announcement gives us the feeling that this will be a permanent addition to the PS4 family. No official price has been released, but we expect the price to be identical to the original slim remodeling. If you enjoy the brighter look of a white console, this new Glacier White variant will be released on January 24 in Europe and February 23 in Japan. We’ll be crossing our fingers for North America.